Painful, stiff joints make it hard to get moving, but moving is exactly what you need for pain relief when you have arthritis. What many people don’t realize is that the world’s simplest exercise—walking—is an amazingly powerful arthritis pain-buster. But the trick is, you need to know exactly how and when to walk, and what to do before and after, to get the full benefit. Taking these steps will also help you get over the fear that any movement will be painful, which keeps many people glued to a comfy chair. 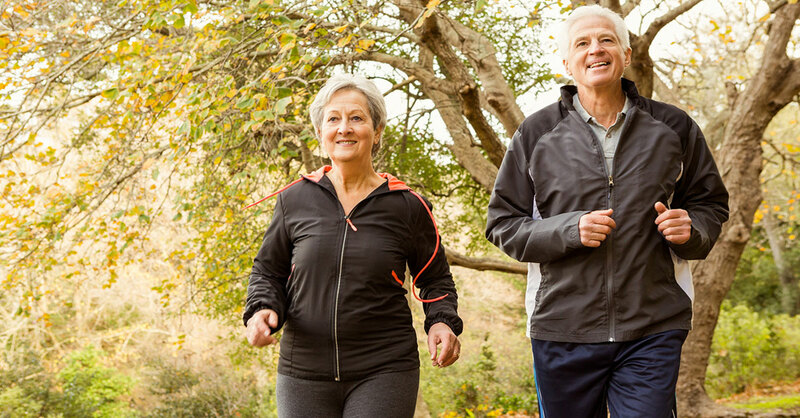 Getting on a smart walking program can help with inflammatory conditions such as rheumatoid arthritis and psoriatic arthritis and “wear and tear” osteoarthritis. Walking is so beneficial that it’s considered a natural medication for arthritis. It makes your muscles stronger, which takes pressure off your joints…and boosts the health of your cartilage, your joints’ shock absorbers, by increasing circulation and bringing nutrients and oxygen to the area. And while walking specifically targets the joints in your lower body, the feel-good endorphins released during exercise should make you feel better from head to toe. As a calorie-burning exercise, walking can also help with weight loss—and every pound of overweight puts added pressure on your joints. Weigh less, and you have less pain. How long to walk: Your goal is to walk for 30 to 60 minutes at a time, but if you can handle only five minutes to start, that’s OK—start there and go a little longer every day. How often to walk: Remember, walking is medicine for arthritis—so aim to take this medicine every day! If you’re new to walking, begin with two or three days a week and build up from there. How fast to walk: Walk fast enough to increase your heart rate while still being able to have a conversation. The key is to push yourself but not to the point that you’re tiring too quickly or adding to your joint pain. Of course, if you have any additional mobility issues or other chronic conditions, ask your doctor whether you should refine these guidelines. You can follow a plan on your own, no gym membership needed. But you might find needed motivation through a walking group with friends or with a formal program such as Walk with Ease from the Arthritis Foundation. This six-week course, held in cities across the country, shows you how to manage arthritis as well as begin a walking routine. Researchers at Oregon State University surveyed 598 sedentary people with arthritis who participated in the program and found that those who completed it reported significantly less pain and fatigue. Not near a group? You purchase a self-guide book ($12) with all the information from their website and start reaping the benefits. To make your walks more comfortable, warm up for a few minutes with easy walking in place, then stretch. Stretch again after walking—you should be able to increase your range of motion as these muscles will be quite warm. Whenever your joints feel sore, use a shorter stride. This puts less pressure on them. Maintain good posture, with your core engaged and your upper body relaxed. Don’t let pride or even forgetfulness keep you from wearing a brace if your doctor has recommended one. The support it offers will help stabilize the joint, make walking easier, and potentially prevent a fall. Note: If starting out walking on land is simply too painful for you, get in a pool, said Susan Besser, MD, a primary care physician with Mercy Personal Physicians in Baltimore, Maryland. Walking in water is gentler on your joints yet adds some resistance, giving you an even better workout. Source: Susan Besser, MD, primary care physician, Mercy Personal Physicians in Baltimore, Maryland.